Yesterday, we experienced another Presidential inauguration and poetry was surprisingly (in often surprising ways) a topic of conversation again, because of two central characters: Richard Blanco and James Franco. Before getting too carried away in this post, here's a link to Richard Blanco's inauguration poem "One Today"--both text and video of him reading. For an occasional poem written for a Presidential inauguration (with only 2-3 weeks notice), I think it's pretty solid--even beautiful in some spots. The inauguration committee did a good job in selecting Blanco. Before Blanco took center stage, another poet (and I'm seriously not using this term with any sarcasm) was lighting up my social media feeds: James Franco. Apparently, he was commissioned by Yahoo! News to write an inauguration poem (view it here). It doesn't take an engineer to realize the poem is horrible. There's even a poem about the Franco poem already. But Franco was already making waves in the poetry community because of a book that's coming out from Graywolf Press. Poets were already Franco-hating before the ill-fated inauguration poem; now, most are likely beside themselves. For me, I actually feel kind of sorry for Franco, because he has a platform and (I don't know this for certain) maybe a lack of criticism from those closest to him (because he has a platform). If the poems in Franco's collection are anything like his inauguration poem, then it's pretty easy to speculate that his book was accepted off the merits of saleability--not artistic merit. And that may be cheating both readers and Franco. What makes me feel sorry for Franco is not that he has a giant platform to sell his books, rather it's that he's making all his mistakes in front of that platform--possibly being told that he's writing great stuff. Every poet has written horrible poetry (I have boxes full of it), but most get to hide that stuff away from the world. Meanwhile, the whole perception of poetry as something that needs to rhyme that's a-whole-nother problem that's just as hard to solve as how to help Franco develop as a poet. I remember my worldview of poetry exploded when I went to college. I don't know if I thought it all had to rhyme (because we studied Whitman), but I had no idea what poets younger than Robert Frost were doing. Plus, as a friend shared on Facebook, most poetry on the high school level is dissected (like a frog or pig in science class), not enjoyed. So it's hard for me to go hating on people who don't understand poetry, but it's also hard to figure out how to improve the perception that a poet must were a beret or snap his/her fingers at the conclusion of each poem. Years ago, I had a cousin ask if I was gay when I shared that I was a poet. So what is there to do but to enjoy the Richard Blancos of the world and try to encourage and help the James Francos of the world? Meanwhile, we can try to help our friends and family--children and adults--learn to appreciate what good contemporary poetry is and can be. Just for Fun! Write a Mad Libs Poem. The latest issue of Sprout magazine features an interview with yours truly. If you're not familiar with Sprout, it's an inspired and inspiring online magazine fun by Amanda Fall. Go check it out. Anyway, the first question Amanda asked was tied into how I went from unpaid intern to well-connected editor. Confession time: I believe a lot of my success over the years has come from "lucky breaks." 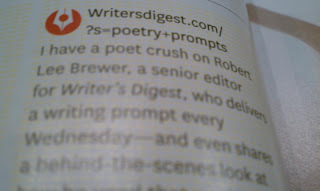 Even my unpaid internship position with the Writer's Digest Writing Community, it was a lucky break. Of course, I'm willing to take credit for hard work and taking advantage of opportunities, but many of my best opportunities found me, not the other way around. How did that happen? Serendipity can play into making your own luck. Three simple words that I'll explain more below, but these actions are responsible for all my luck. 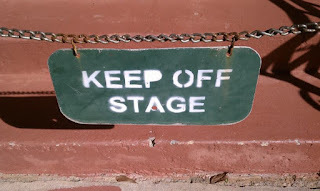 If I wanted to use more than one word, I might also say this key is "taking chances." For instance, I was exclusively an expert on publishing--as the editor of Writer's Market--before I started building a reputation as a poet. ...my reputation was so entrenched as a publishing expert for fiction and nonfiction freelancers that I received some push back on the idea. In fact, the poetry blog was only accepted after I recruited then Poet's Market editor Nancy Breen as my co-blogger (quick aside: I was already friends with Nancy and lucky to have her as a resource in the beginning). The rest of my poetry luck is history. I went on to be named Poet Laureate of the Blogosphere in 2010--hosting super successful poem-a-day challenges in April and November. 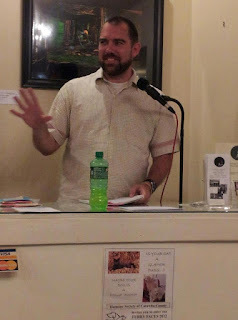 I've been hosted as a featured poet at several events around the country, including the Austin International Poetry Festival (AIPF) and Poetry Hickory. My debut full-length collection, Solving the World's Problems, is due out from Press 53 on September 1. Of course, there's more to that luck, which I'll get into below, but none of it would've happened if I didn't experiment by pitching and launching the Poetic Asides blog. Before that, I was receiving speaking opportunities as a publishing expert by absolutely zero opportunities in the poetry world. 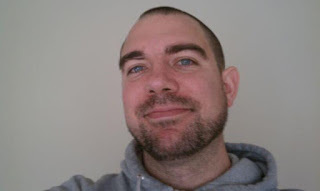 Speaking of the Poetic Asides blog and the April PAD Challenge, the idea was simple enough: I would offer a prompt each day in April (along with my own attempt at the prompt) and ask others to write a poem too. I hoped to get some participation, but I really didn't know what to expect and even worried that only one or two people might show. But the poems came. And came. And came. That first post is still up on the site, and there were nearly 300 comments. But it didn't end there. The response was so overwhelming through the whole month that I started sharing poetry prompts on Wednesdays and created a November poem-a-day challenge dedicated to crafting chapbooks of poems. These are experiments that worked out, but I also truly feel they are an example of engagement. For instance, one way I've built traffic on My Name Is Not Bob is through challenges and shining the light on other bloggers and tweeps. I didn't ask for or expect anything in return, I just felt that engaging with others is the right way to do things. 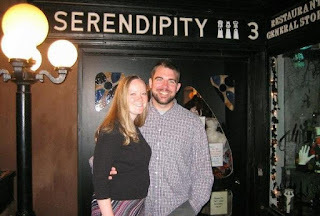 This engagement has led to "lucky" opportunities, including invitations to read at poetry festivals and events. Those speaking opportunities led to face-to-face engagement opportunities that led to more speaking opportunities. 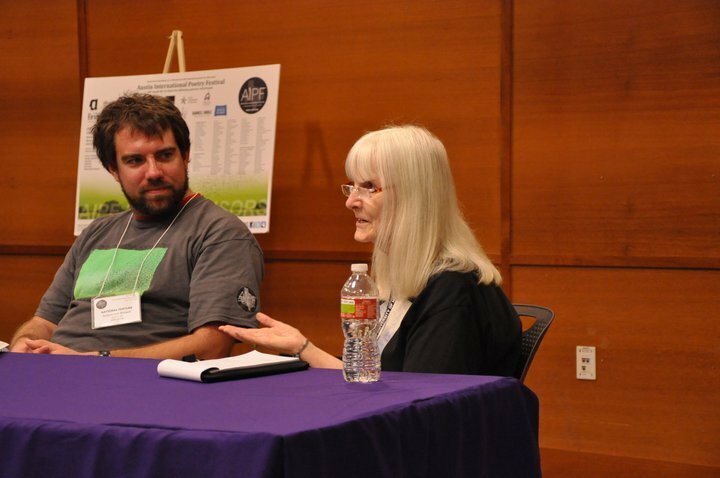 For instance, I would've never been invited to Houston Poetry Fest "Out of Bounds" if I had not met Mary Margaret Carlisle at AIPF. 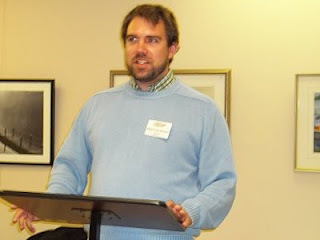 My invitation to speak at the Blue Ridge Writers Conference came from speaking at the Red Clay Writers Conference and it (the BRWC) led to an opportunity to speak at Poetry Hickory. ...which opened up an opportunity to speak at Poetry Hickory. I have so many similar examples, both online and in person, of engagement with others leading to lucky breaks and opportunities. These speaking opportunities weren't pursued by me; they were offered, because I was engaging with people--and they saw the opportunity for me to share my passion and experiences with their audience. There are many ways that sharing can lead to "lucky breaks." I mentioned Mary Margaret Carlisle above, and I met her at the Austin International Poetry Festival. She was a fellow featured poet, and we did a book swap--I'd recently self-published a limited edition chapbook of poems that have since sold out. Without realizing it, my act of sharing set the wheels in motion for me to be invited as the feature for her Houston Poetry Fest "Out of Bounds" event--an event that raised money for me to come out, stay the night in Webster, sell some more chapbooks, and read my poetry before an engaged audience. I didn't expect anything to happen, but it did. And I've had other examples of this happening--without expectation on my part. With Mary Margaret Carlisle at Austin International Poetry Festival. Share your words, your thoughts, your ideas, and good things will happen. Don't spend all your time trying to trick people or get something tangible out of them. Trust that good works lead to good opportunities. As one last example, one key reason the April PAD Challenge has been so successful from day one is that I shared my own example poem with the prompt. It's a way of showing that I'm in it with everyone else--writing horrible first drafts that more often than not never amount to anything. Sharing that vulnerable part of my writing process, I think, encourages others to then share--and we all benefit when that happens. Have you experienced luck yourself? Or helped create luck for someone? Share your experiences below in the comments. What are blurbs? Do I need them for my book? Wow! So now that my debut full-length collection of poetry, Solving the World's Problems, has found a home with Press 53, I imagine more than a few of my Not Bob posts are going to deal with issues related to getting this collection to the printer and beyond. In this specific post, I want to talk about blurbs. A good blurb can entice someone to learn more about a book. Blurbs are those pesky little quotes on the front and back covers of books. For instance, the 2013 Writer's Market, which I edit, has one on the front cover from Sandra Beasley, author of Don't Kill the Birthday Girl, that reads, "To buy Writer's Market is to take charge of your publishing career. To give Writer's Market says 'I believe your voice needs to be heard.'" Basically, they're endorsements for a book or author from a trusted source. They are recommendations. Do I need a blurb for my book? Recently, I engaged in a chat on Facebook about whether blurbs are even worth the time or effort of placing on a book. I mean, do they even affect book sales? Do potential readers even care? Book covers definitely sell books. Blurbs enhance the professional look of a cover. Including blurbs from trusted sources adds an extra level of validation to a book. It might not seal the deal, but it might entice a potential reader to crack the cover and read the first page or two before deciding whether to buy the book. And really, I'm pretty confident that blurbs don't harm book sales--unless it's really bad or inappropriate. However, if that's the case, the book is probably really bad and inappropriate as well, right? How do I get blurbs for my book? First, you can contact sources directly. In my case, I have a short list of poets who I'm planning to contact to see if they might be interested in viewing my manuscript. My first message will probably go something along the lines of, "Hey, you interested in taking a look at my manuscript and possibly providing a blurb for the cover?" No need to beat around the bush. If the poets say, "Sure," I'll send along the manuscript with a deadline for when I need the blurbs back (probably padding the deadline a little--just in case). Hopefully, they'll love what they read and send me a nice sentence or three about my book. Another source of blurbs might be from past mentions and accomplishments. In my case, I'm wondering whether to include past mentions--like in the November 2012 issue of O, The Oprah Magazine, Samantha Reynolds wrote, "I have a poet crush on Robert Lee Brewer." Who wouldn't be interested in slapping that right on the front cover of a book? It says everything that a poet wants to hear! What are your thoughts on blurbs? Do you think they're important? Do you (or would you) bother with them for your own book? Last week, I got some nice news from Press 53. They're going to publish my debut full-length collection of poetry tentatively titled Solving the World's Problems! 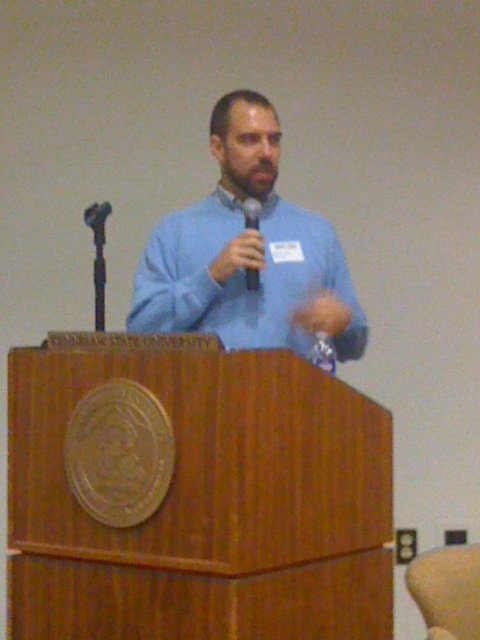 Robert Lee Brewer, Solving the World's Problems--in a hoodie! At the moment, the manuscript consists of 80 poems, though we still have to go through the process of editing--so we'll see what happens. Since I just sent in the signed contract this morning, all "facts" in this post are "tentative" and "subject to change." For instance, I have a "tentative" pub date of September 1, which would be perfect if it were to hold. This post is basically a "can't keep it to myself" announcement that I hope will help get the word and excitement out to everyone who has been so supportive of me through my poetic journey. I. Am. Excited. Anyway, I'm already buzzing with ideas to help this collection be as successful as it can be, and I'd welcome any help with that. If you know of places that review debut poetry collections, I'd love to know about them. If you know of blogs that interview poets, please share. If you know venues that support readings, let me know. In fact, if you have venues nearby AND a spare couch that you wouldn't mind having a tired poet crash on, I'd love to hear from you too. Am poet. Will travel. After pub date. I've got a pub date! Did I mention I'm excited?!? So yeah, carry on. If you can help out, please comment below or send me an e-mail at robertleebrewer@gmail.com. Or message me on Facebook. Or Twitter. Whatever works best for you.